I was recently reminiscing about travel to Japan in Spring. That conversation left me longing for the absolutely phenomenal food and hospitality I was introduced to by Japanese friends and colleagues there. 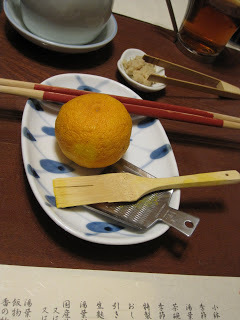 ‘Oishi’ is the Japanese word for delicious and a word I used often. These soba noodles with tempura at a little mom and pop food stall outside of Tskiji fish market in Tokyo in the early morning hours remain one of the most outstanding food memories of the trip. Because it was cherry blossom season, sakura (cherry blossoms) were everywhere — including in special brews and on seasonal labels. Sakura even made it into and on cheesecake. 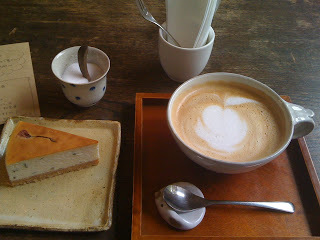 In the town of Nara, I wandered in the rain trying to locate a tiny café called Nanka, nestled in a residential section. Nanka is part library, part shop (local artisans), part café. Everything about it was absolutely charming: from the hand written and sketched daily menu to the flawless cherry blossom cheesecake to the apple adorned latte. 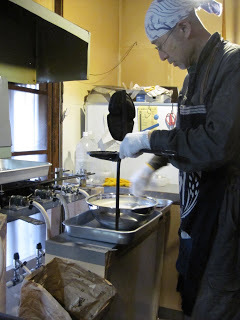 A day trip to Nara led me to the discovery of a traditional taiyaki master. 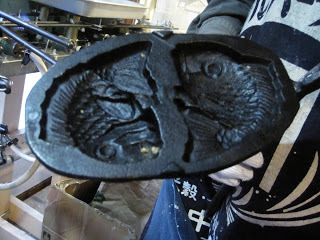 Traditional taiyaki are sweet, crisp pancakes pressed together and filled with sweet bean paste. 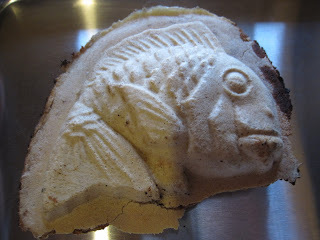 Rest assured, the shape is the only thing fish has to do with it. …then gets filled with a light, sweet batter. 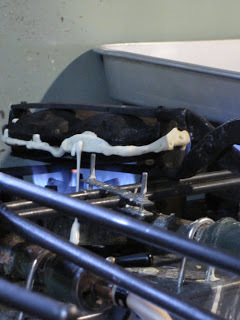 It’s cooked over open flame and flipped back and forth, until…. …a warm, crispy sweet treat emerges. Kyoto is known as a place of refined food from its days of being the seat of nobility. 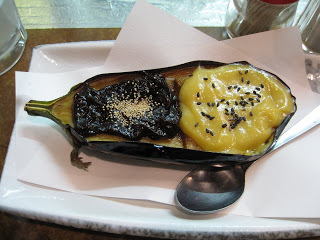 This is seen in even the simplest food in the local corner joint like this grilled eggplant with both red and white miso. 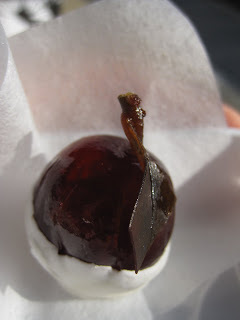 The creamy eggplant with the sweet white miso contrasting with the more pungent red was just dreamy. Nishin soba is a traditional Kyoto dish (this one at Matsuba restaurant). Wow! Who knew I would really, really like dried herring with soba noodles & freshly chopped scallions. 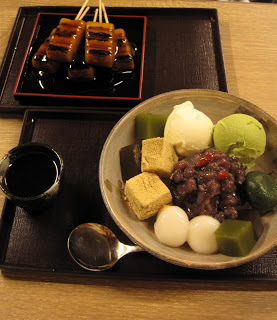 I was also introduced to traditional sweet treats in Kyoto, like dango (mochi-like squares grilled on skewers and served with a thick salty/sweet sauce) and anmitsu (in bowl — jelly squares made with agar + red bean paste + gyuhi dusted with ground sesame powder + fruit + ice cream). Arashiyama is a quaint, river-flanked, bamboo forested, temple-laden town just a short train ride from Kyoto. I spied this candied citrus — stem and leaf included — in a sweet shop in the tiny town. I was intrigued by its size; it was just a little bigger than a cherry tomato. I don’t remember the name of the particular citrus but the sweet crunchy candied outside followed by the slightly sour fruit and slight bitter of the rind made for a spectacular flavor explosion well beyond its size. 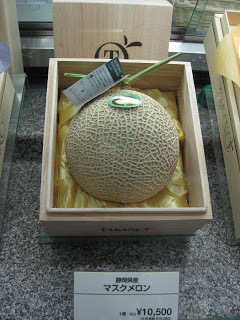 Fruit perfection is so treasured in Japan that one can easily pay upwards of $150 for a single piece. 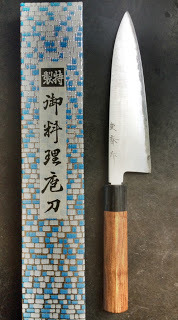 I opted to spend my yen on a gorgeous piece of hand-forged knife perfection from a little known shop called Shigeharu. It’s a business that has existed for over 900 years and where no English is spoken. There was much bowing, smiling, pointing and bowing again as I was on my own that day and my Japanese is limited to about 20 words. 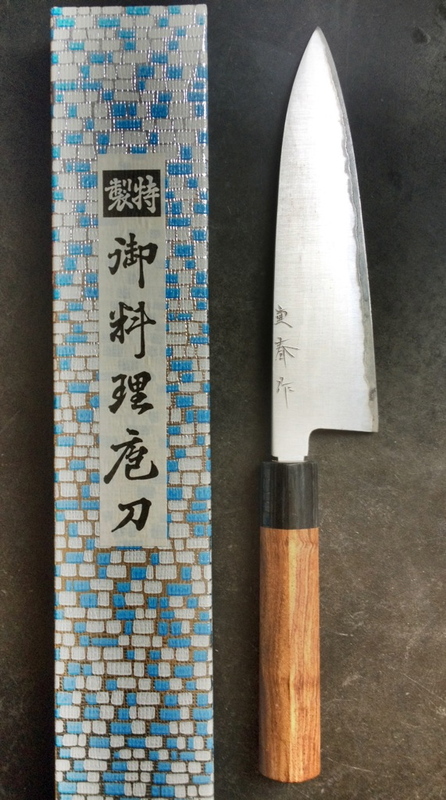 I was — and still am — thrilled with my now favorite knife. 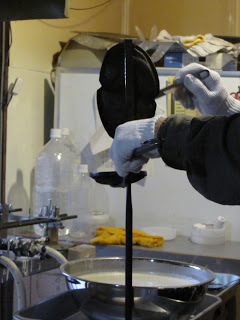 which we topped with freshly grated yuzu and shoyu. 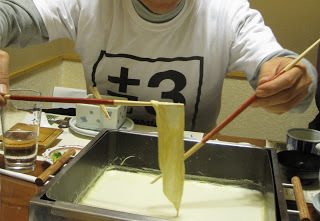 Yuba heaven! 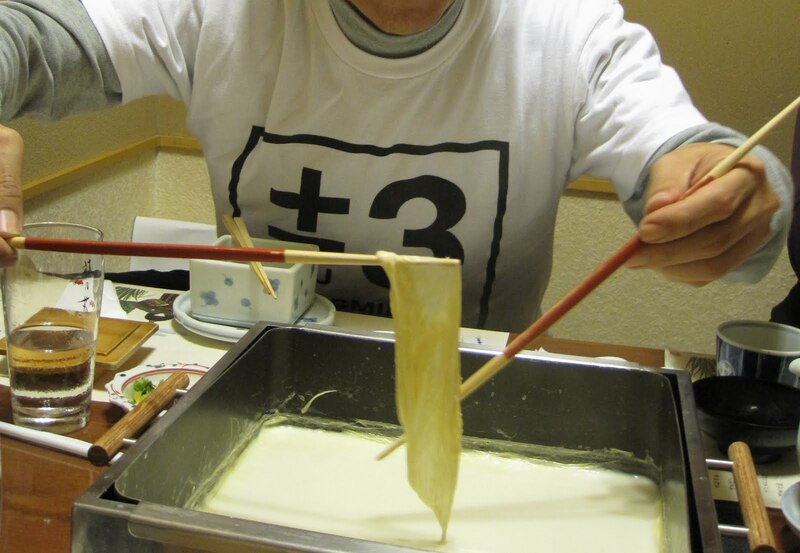 The intense cultural drive for mastery in Japan yields outstanding pastry. Patisserie Au Grenier d’Or in Kyoto is a fine example. I wish everyone could experience their outstanding, limited production hyuganatsu marmalade. I’m such a citrus lover (if you haven’t yet caught on)! 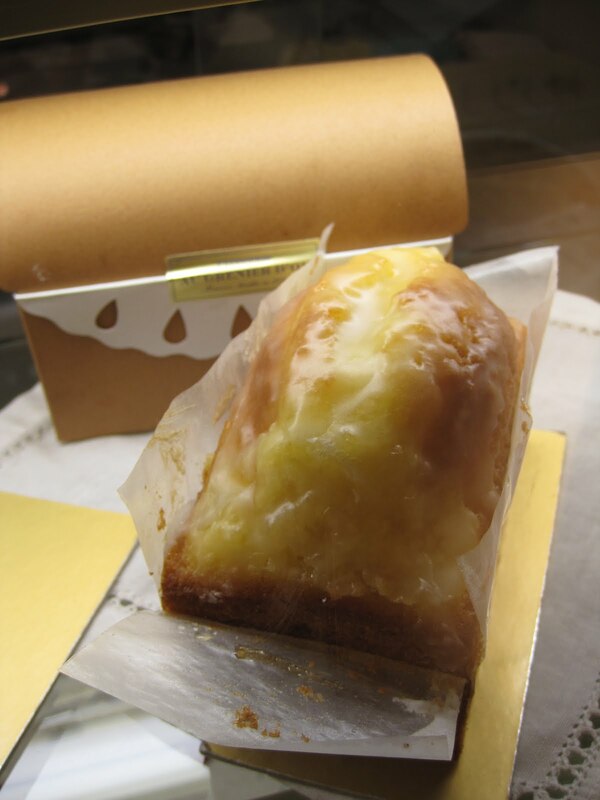 The yuzu pound cake I handcarried home to a picnic in the park soon as I got off the plane was nothing short of perfection. 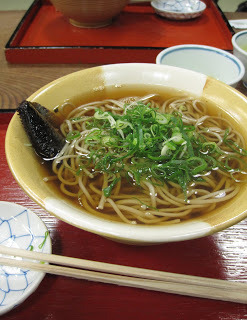 I had so many phenomenal food experiences in Japan. 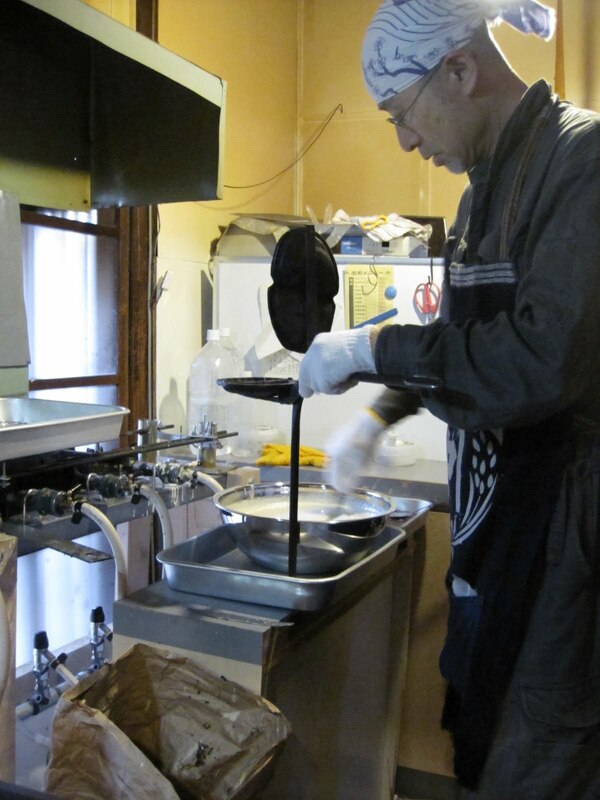 One common thread that stood out — from simple food stalls to top-secret, 8 seat izakaya spots to haute Kaiseki — was the tremendous care and pride taken by all involved with preparing and serving the food. To everyone who shared all things oishi with me, I’d like to say, gochisosama deshita. Please try Katsudon or Oyakodon next time. Check them on Google image search. I'm sure you'll like them. At any time, Japan has to welcome you. Tokyo also come into play. 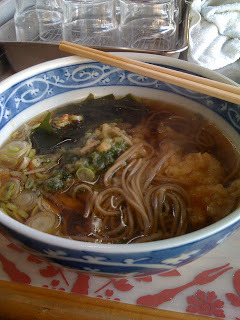 Thankyou so match for Your visiting Japan Blog ! Pls come again to Japan!! 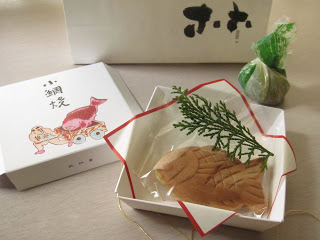 Thank you for wonderful blog. Please come to Japan again. I promise the best hospitality. I'm very happy to leave my comment here. Thanks for sharing. 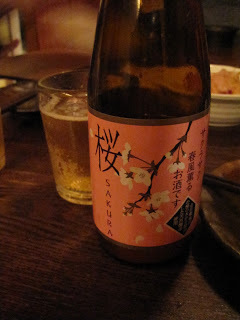 which describes wonderful topics related to Japan. 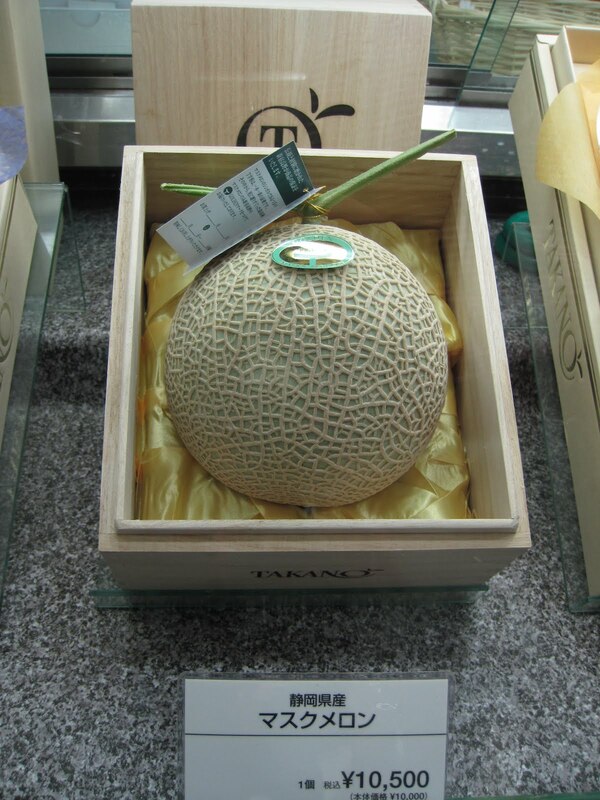 I came by via Searchina, as I want to know the world trends through the eyes of Chinese people. I am a male Japanese and had some good education in the US during my junior year in highschool (NY) and my first summer semester (MA), which had brought me the hard life as a life science scholar. I read through this article and couldn't help writing to a very sensible woman who could appreciate the sophistication of both traditional and modern Japanese cuisine. However, I do feel Japanese cuisine lacks in some science that could definitely improve them.